While we were all busy freaking out over Amy Poehler finally winning a Golden Globe, her co-host Tina Fey managed to congratulate her while throwing out a casual diss to Taylor Swift. Didn't quite catch it? That's because Fey has become a snark master. This is the woman who wrote Mean Girls, after all. Remember last year's Golden Globes, when Fey said "Taylor Swift, you stay away from Michael J. Fox's son?" That quick little joke about the singer known for her exes and last year's Mr. Golden Globe resurfaced a few weeks later when Vanity Fair asked Swift about it. Her response was surprisingly serious. So when the Golden Globes returned to Fey and Poehler right after Poehler's big Best Actress in a TV Comedy win, Fey had her chance to respond. 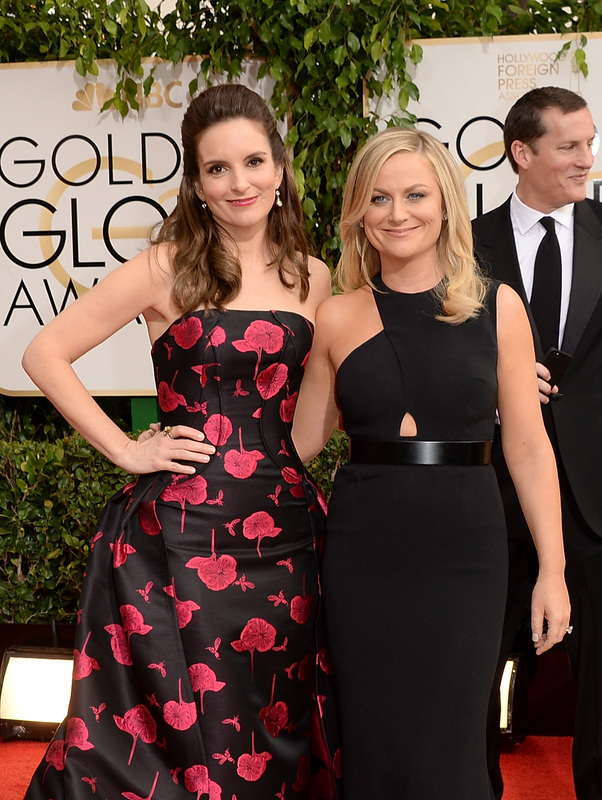 As she congratulated Poehler, Fey said, "There's a special place in hell for you." Can you feel that burn from your table T-Swift? You don't mess with the reigning queens of comedy without getting a little payback, no matter how many important friends you have. So congratulations to both of our amazing hosts. Poehler, for your long-overdue recognition, and Fey, for proving that you've still got some Regina George in you.